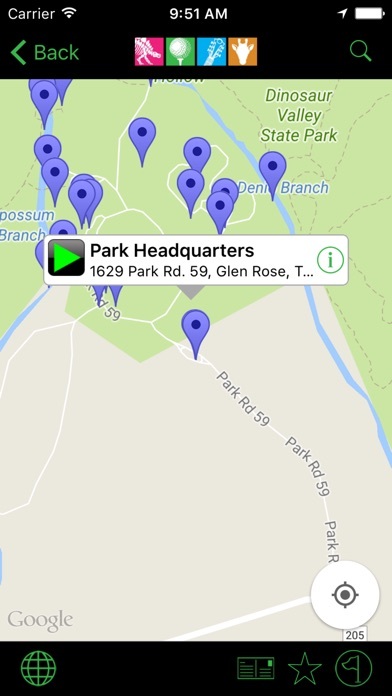 The official app for touring Glen Rose, TX! Glen Rose is best known as the “Dinosaur Capital of Texas. 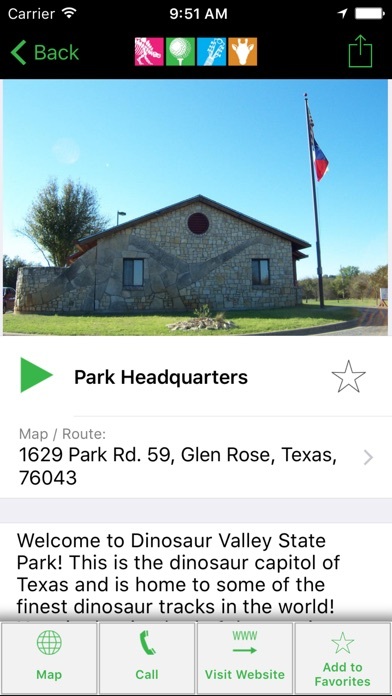 The Explore Glen Rose Texas App is your guide to tour the Dinosaur Valley State Park, Creation Evidence Museum, and Fossil Rim Wildlife. You can also plan your trip in Glen Rose with a directory of restaurants, shopping and deals, places to stay, events and activities. Plan your entire weekend get a way with the family. Features Include: -Turn by turn directions to your desired destinations -Videos and photos -Historic walking tour of Glen Rose. 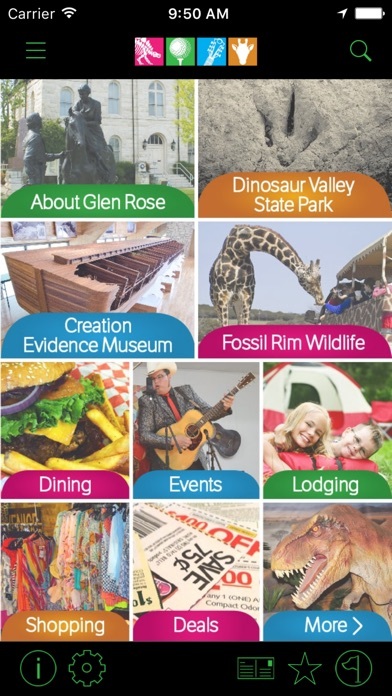 -Guided tour of the Dinosaur Valley State Park and Fossil Rim -Endless list of activities such as, indoor, outdoor, kid friendly, sporting and exercise, art, musicals, and much more. 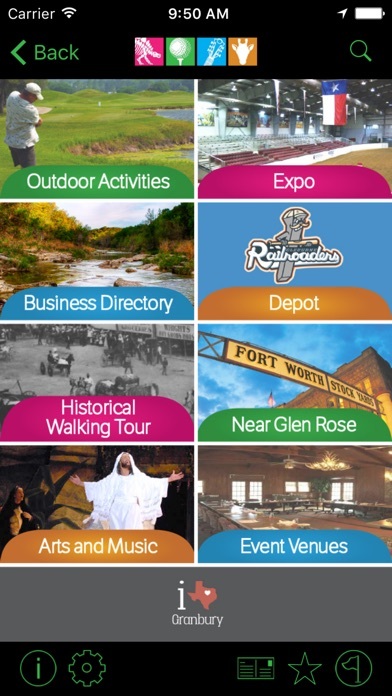 -Updates on events, local news and information about you favorite activities Enjoy the official Glen Rose Texas app! This is a great app! It turned what was already a great place to visit into an exciting adventure. I had no problems streaming either! Went to DVSP for the first time. It was a blast and the app made it even more enjoyable! 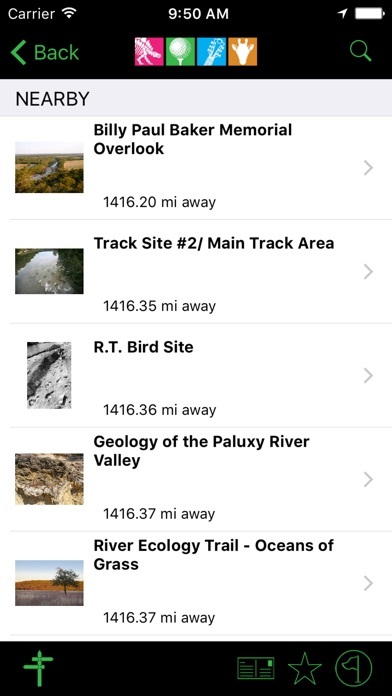 The map alone makes this app worth the download and you can even choose to either download all of the data ahead of time or try to stream with what service there is out there. I had no problem streaming on AT&T. Check out the videos for each site, they are awesome!